More than 70% of American adults are either overweight or obese and therefore face significant health risks. If you’re looking for a way to safely and effectively lose weight, book an appointment online or by phone to discuss the weight loss management services available through the primary care office of Dr. Pouya Shafipour in Santa Monica, California. I'm overweight. How can weight management help me? A weight management program can help you make the healthy choices necessary for losing weight and keeping it off. 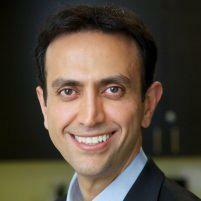 Dr. Shafipour educates you so that you feel confident about your eating and exercise habits. He also provides the critical support you need to stay focused and on track, both during and after weight loss. By taking advantage of the weight management services Dr. Shafipour offers, you improve your health now and in the long term through a medically supervised, safe program. What weight management services does Dr. Shafipour offer? Dr. Shafipour can also help you develop a diet designed for athletic training, or a diet to help you gain weight if you are underweight. Why is it important to have a maintenance program? Because losing weight is not an easy task, it helps to have a medical provider guide you through your weight loss journey. That means you can be certain you’re healthily losing weight and that you’ll be able to maintain a healthy weight. Losing weight only to regain it is both frustrating and bad for your health. Take advantage of this important service offered by Pouya Shafipour, MD. Book an appointment to learn more about how Dr. Shafipour can help you through weight loss management services.